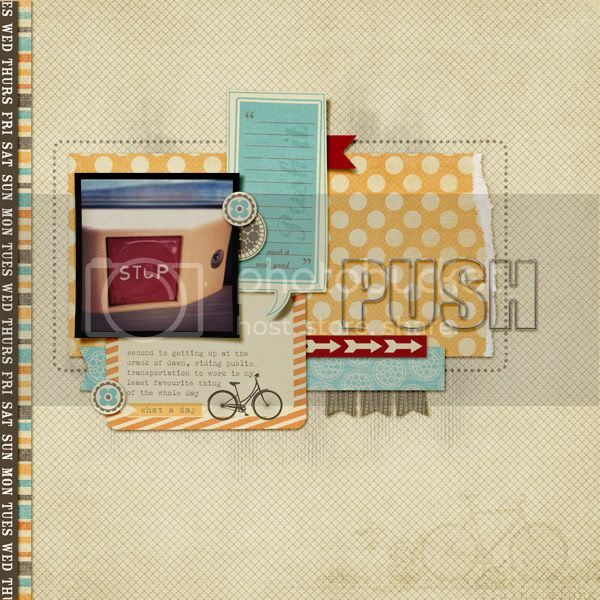 I've got two new layouts to share - yes, I am on a scrapping roll as of late - and I am so proud of them. 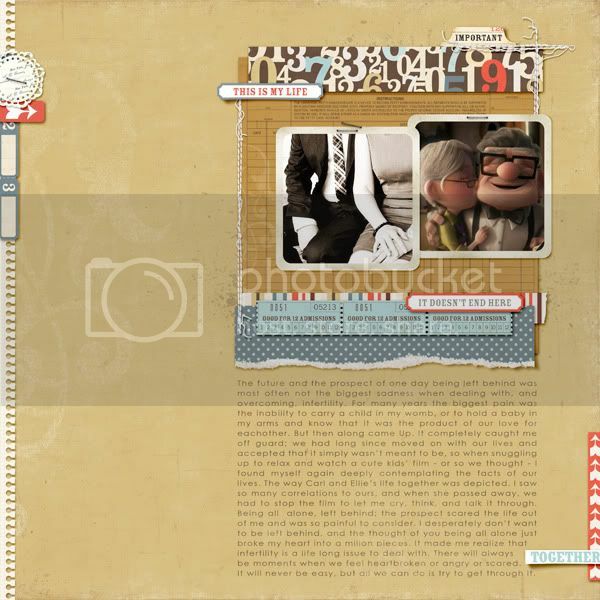 It's been a long time since I felt this inspired and jazzed about scrapping. This first one deals with my emotions when we first watched the film UP and what it made me realize about myself and life. Heavy stuff. But still, important I think. This one was inspired by the Instagram shot of the stop button on the bus that I ride to work every day. I detest taking the bus, especially since it takes a large chunk out of my day but I detest getting up in the morning even more so riding with the husband is out of the question. But I felt I wanted to document it somehow. I'll always be with you <3 Love you to death!